measured by a satellite sensors(1). Fig. 2 Principle of perpetual salt fountain proposed by Stommmel et al. (6). Fig. 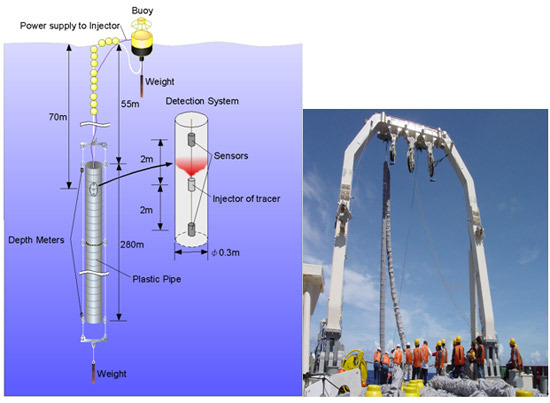 4 Schematics of experimental apparatus and deployment of a Laputa pipe in the ocean. Fig. 5 Diffusion of upwelling deep seawater in the vicinity of the pipe exit. Fig 6. Outline of Okino-Torishima Laputa project. (1) Franz, B.A., Wilding, J.G. and Gales, J.M., 2003. Operational Merging of MODIS and SeaWiFS Ocean Color Products at Level-3, in: MODIS Validation, Data Merger and Other Activities Accomplished by the SIMBIOS Project: 2002-2003, /NASA/TM-2003/, NASA Goddard Space Flight Center, Greenbelt, Maryland, August 2003, 47-49. (2) Polovina, J.J., Howell, E.A. and Abecassis, M., 2008. 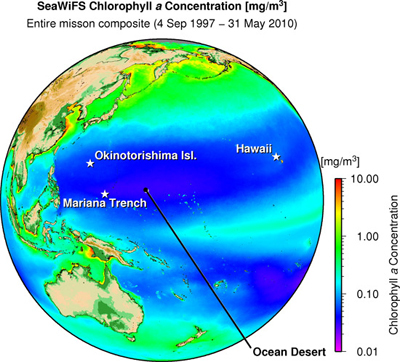 Ocean's least productive waters are expanding. Geophysical Res. Letts., 35, L03618, doi:10.1029/2007GL031745. (3) Ouchi, K. and Ohmura, H., 2004. 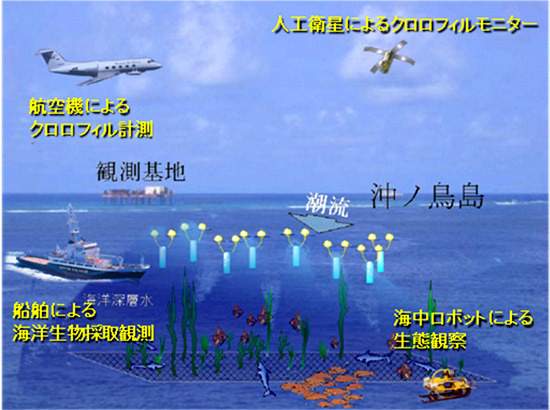 Design concept and experiment of ocean nutrient enhancer “TAKUMI”, in: Proceedings of Oceans'04/Techno-Ocean'04, Kobe, Japan, 9 November 2004, 322-327. (4) Liang, N.K. and Peng, H.K., 2005. A study of air-lift artificial upwelling. Ocean Eng., 32, 731-745. (5) Kirke, B., 2003. Enhancing fish stocks with wave-powered artificial upwelling. Ocean Coast. Manage., 46, 901-915. (6) Stommel, H., Arons, A.B. and Blanchard, D., 1956. An oceanographical curiosity: the perpetual salt fountain. Deep-Sea Res. 3, 152-153. (7) Maruyama, S., Tsubaki, K., Taira, K. and Sakai, S., 2004. 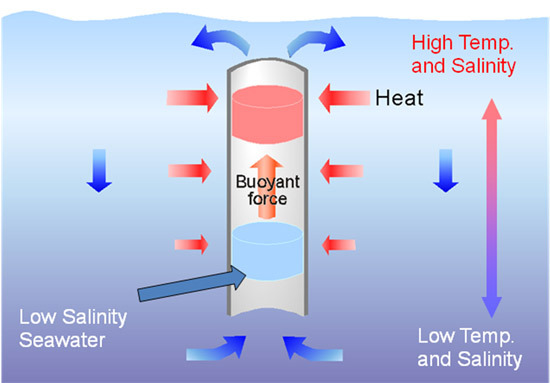 Artificial upwelling of deep seawater using the perpetual salt fountain for cultivation of ocean desert. J. Oceanogr. 60, 563-568. (8) Tsubaki, K., Maruyama, S., Komiya, A. and Mitsugashira, H., 2007. Continuous measurement of an artificial upwelling of deep sea water induced by the perpetual salt fountain. Deep-Sea Res. I 54, 75-84. (9) Aihara, T., Maruyama, S. and Choi, J.S., 1986. Laminar free convection with variable fluid properties in vertical duct of different cross-sectional shapes, in: Proc. 8th Int. Heat Transfer Conf., San Francisco, USA, 17 August 1986, 1581-1586. (10) Zhang, X, Maruyama, S., Sakai, S., Tsubaki, K. and Behnia, M., 2004. Flow prediction in upwelling deep seawater - the perpetual salt fountain. Deep-Sea Res. I, 51, 1145-1157. (11) Sato, T., Maruyama, S., Komiya, A. and Tsubaki, K., 2007. 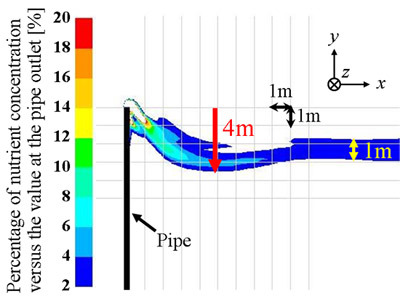 Numerical simulation of upwelling flow in pipe generated by perpetual salt fountain. in: Proceedings of 16th Australasian Fluid Mechanics Conference, Gold Coast, Australia, December 2007, 2-7. (12) Zhang, X., Maruyama, S., Tsubaki, K., Sakai, S. and Behnia, M., Mechanism for enhanced diffusivity in the deep-sea perpetual salt fountain. J. Oceanogr. 62, 133-142. (13) Williamson, N., Komiya, A., Maruyama, S. and Behnia, M., 2009. 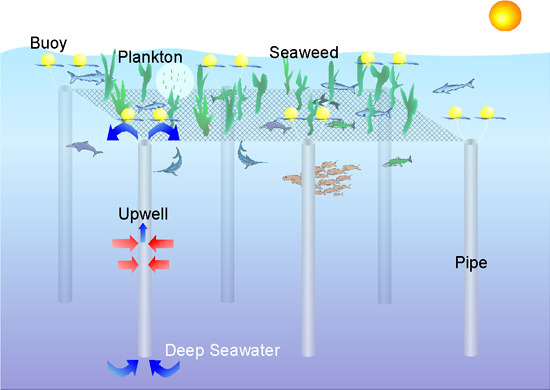 Nutrient transport from an artificial upwelling of deep sea water. J. Oceanogr., 65, 349-359.